How Do We Know If a Prophecy/Teaching/Ministry Is From God? A spiritual gift is given to each of us so we can help each other….He gives someone else the ability to discern whether a message is from the Spirit of God or from another spirit. Distinguishing/Discerning of Spirits is the spiritual gift of insight from the Holy Spirit which enables a believer and/or parish to know whether a practice, teaching, or gifting is from God, Satan, or a manifestation of the flesh (i.e., self-generated). Satan and his spirits can be discerned in appearance. 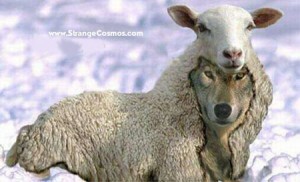 Satan invades the Christian community with teachers and leaders who counterfeit the truth. These people will always introduce teaching that is foreign to Scripture. In Acts 16, Paul and Silas are met by a slave girl possessed by a spirit of divination. Men and women with the gift of discernment are specially gifted in distinguishing between those words, deeds and appearances that are true and those that are false . For many days she followed the apostles crying out “These men are servants of the Most High God, who proclaim to you the way of salvation” (Acts 16:17). Though her words were true, the spirit behind them was false and sought to lure people with a little bit of truth so that the opportunity could be used to heap reproach upon the gospel. Paul judged her words to be true, but knew by appearance that the spirits guiding her were insincere. He was not fooled by what might have been an appearance of godliness. And so appearances must also be carefully weighed against the Scriptures. Men and women with the gift of discernment are specially gifted in distinguishing between those words, deeds and appearances that are true and those that are false. This entry was posted in Charismatic Movement, Holy Spirit, Spiritual Gifts and tagged Charismatic, Discernment, Holy Spirit on May 5, 2009 by GlennDavis.